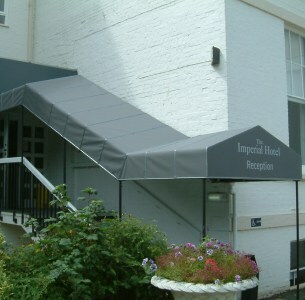 Approach Awnings are generally associated with entrance walkways to hotels. They come in a variety of shapes and sizes by using aluminium extrusion and the unique range of Sunkut ® components. 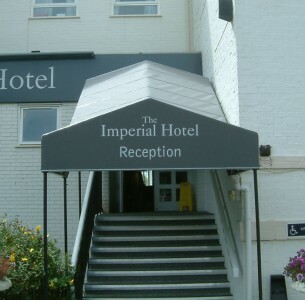 The front of the Approach Awning offers an ideal place for signwriting. 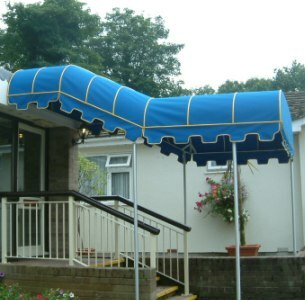 Approach Awnings can enhance the most gracious of entrances and lift much plainer entrances to be more welcoming. 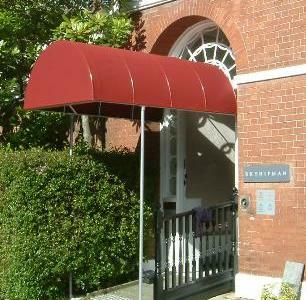 They also afford protection for the clients of the premises from inclement weather as well as the sun. 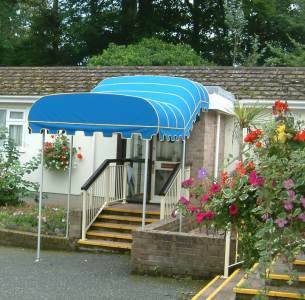 The Walkway Awning is similar to the Approach Awning but generally links buildings such as school classes, office buildings and the like. 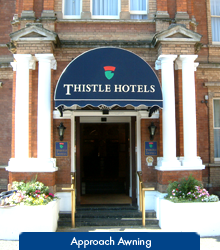 See from our photos of The Palace Hotel at Torquay the longest stretch of the Walkway from the hotel to the Conference Hall passes two full size tennis courts. There is also a mobile section that joins the hotel to the Conference Walk.